Although Carroll John Daly was one of the pioneer writers for Black Mask, Dime Detective and other pulp magazines and created the archetype for the hardboiled PI, he is not considered an iconic writer of hardboiled stories and is almost forgotten. In most critical essays he is almost always discussed in negative terms--unreadable, not a good writer--when compared to Hammett and other Black Mask writers. He is considered of historical significance because he was the first to feature the hardboiled tough guy in Black Mask magazine in the 1920s. For this post, I decided to take a quick look at Daly to determine if his prose was as bad as the critics claimed. I began by reading the excellent essay “In Defense of Carroll John Daly” (originally published in The MYSTERY FANcier May 1978, volume 2, number 3) by Stephen Mertz on the Black Mask Magazine website. He Defends Daly against the charge that he is unreadable. Daly, he writes, was the most popular writer for Black Mask, more popular than Hammett or Erle Stanley Gardner, and had greater influence on later writers. When one of his stories appeared in the magazine, sales increased. 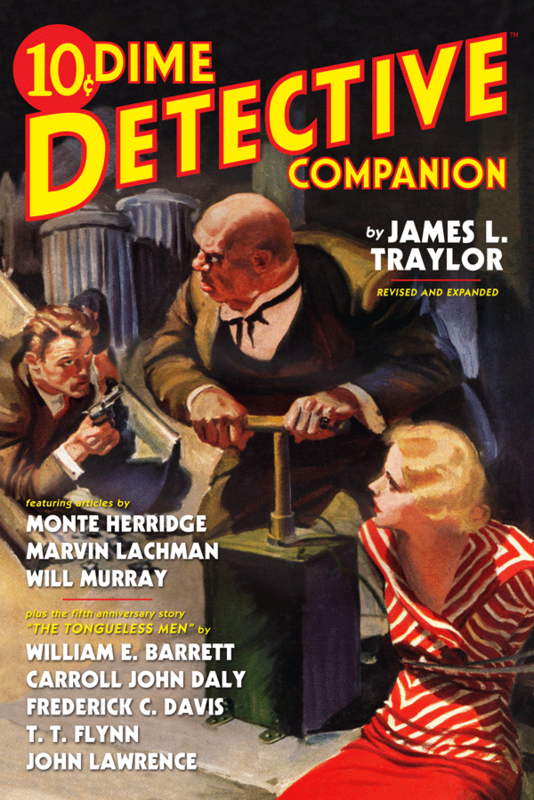 Before the appearance of the hardboiled detective, Daly established the tough guy model in his story “The False Burton Combs” published in Black Mask in December 1922. The story is in the public domain, and downloadable from the Vintage Library website. The tough guy protagonist/narrator would become the tough PI of the later stories. Daly created three private detectives. 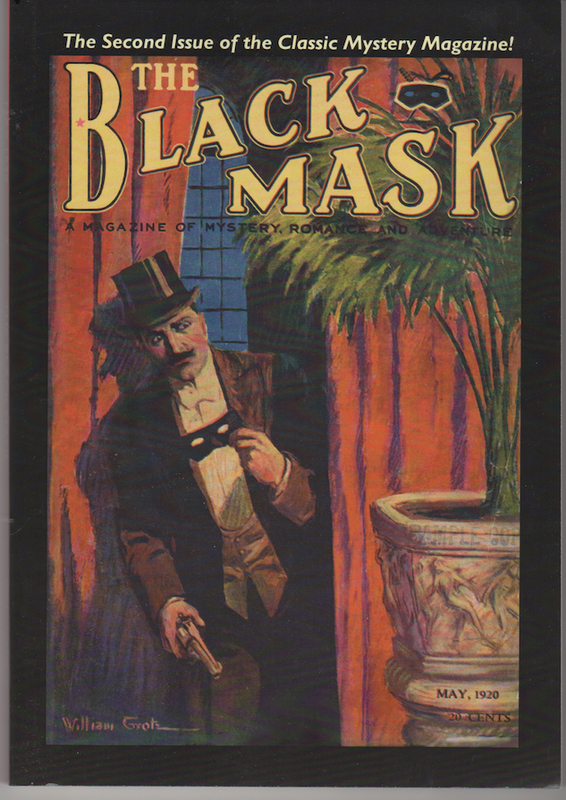 The first was Terry Mack in the May 15, 1923 issue of Black Mask in his initial hardboiled PI story “Three-Gun Terry.” The second was the first series hardboiled detective Race Williams, and the third was Vee Brown. None of my anthologies contained the Terry Mack story, and I couldn’t find it on the Internet. I read the very good Vee Brown story,“The Crime Machine” (Dime Detective January 1932) in the Hard-Boiled Detectives anthology. I read two outstanding stories featuring Daly’s most famous PI, Race Williams. “Knights of the Open Palm” (Black Mask June 1923) in The Black Lizard Big Book of Black Mask Stories is the first story featuring Race. “The Third Murderer” in The Black Lizard Big Book of Pulps is a novella that was serialized in the June-August 1931 Black Mask. While Reading the stories, I kept in mind Dale’s April 23 post on violence. Certainly in some of the hardboiled stories, the violence is gratuitous, but in the well-written stories, it is not out of place. Considering the PI protagonists and the bad guys they face, the violence is inevitable and expected. Daly’s PIs see themselves as gunslingers who never kill a bad guy who doesn’t need killing. Yes, he wrote clumsy prose. The mixture of slang and formal language at times is disconcerting, especially when it comes from the semi-literate protagonist. His language at times grated on my nerves like fingers scratching on a blackboard. But the stories are still readable, exciting, and enjoyable in their unrelenting tension. The nonstop violence instead of making you want to put down the book, makes you want to keep reading as the tension rises until the shootout. Although Daly wasn’t the most skillful prose stylist, he was good enough for those readers who, while riding the bus or train to work, could escape for a few minutes into the make believe world of gangsters, crooked policemen, and corrupt politicians. He did what the pulp writers were expected to do, told a good story. He also confirmed my belief that sometimes a good storyteller can overcome bad prose.